• THEY ARE ACTIVELY DOING THE RESEARCH ON THE POSSIBILITIES OF ICE HOCKEY IN NEPAL. • THE FIRST STAGE OF RESEARCH HAS BEEN COMPLETED REGARDING THE FORMATION OF ICE HOCKEY RINK IN NEPAL. 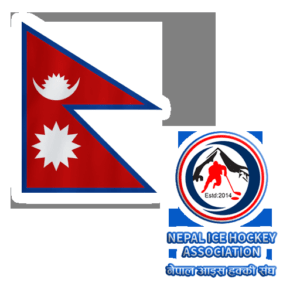 • NEPAL ICE HOCKEY FEDERATION IS COMPLYING WITH THE PLANS AND POLICIES OF INTERNATIONAL ICE HOCKEY FEDERATION. On March 10, 2016 a Member of Nepal Ice Hockey Federation Mr Keshav Kumar Bist visited the Headquarters of the International Ice Hockey Federation and had a serious Conversation with the team of experts about making an ice hockey rink in Nepal. Mr Keshav Kumar Bist also requested for financial Support to be Provided by the federation for building the rink. In October 22, 2016 the Treasurer of the International Ice Hockey Federation and the member of France ice hockey made a Visit to Nepal and made stop overs at the two Proposed locations for the ice hockey rink in Dhulikhe and Pokhara. • TO PREPARE THE DESIGN FOR ICE HOCKEY RINK. • TO PREPARE THE TECHNICAL MANPOWER NEPAL ICE HOCKEY FEDERATION. WILL BE SENDING A TEAM TO FINLAND FOR TRAINING LATER IN JULY 2017. • TO PARTICIPATE IN WORLD ICE HOCKEY FORUM MEMBERS WILL BE FLYING TO MOSCOW IN DECEMBER 2017 . • ASKING FOR THE FINANCIAL COOPERATION TO VARIOUS ORGANIZATION TO PREPARE THE ICE HOCKEY RINK. • TO MAKE THE MANAGEMENT FOR EFFECTIVE AND STRONG.